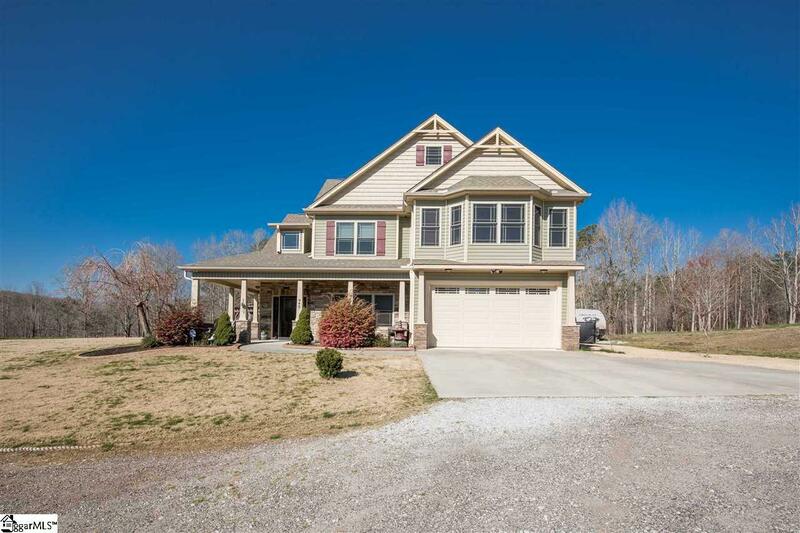 This is one AMAZING home that meets so many needs and dreams while leaving plenty of room for imagination! Looking for a place for horses? Looking for home with plenty of elbow room? Looking for a property to build an in-law home on? Want to be close to a golf course? The lay of the property and setting will draw you in as you approach the long driveway. 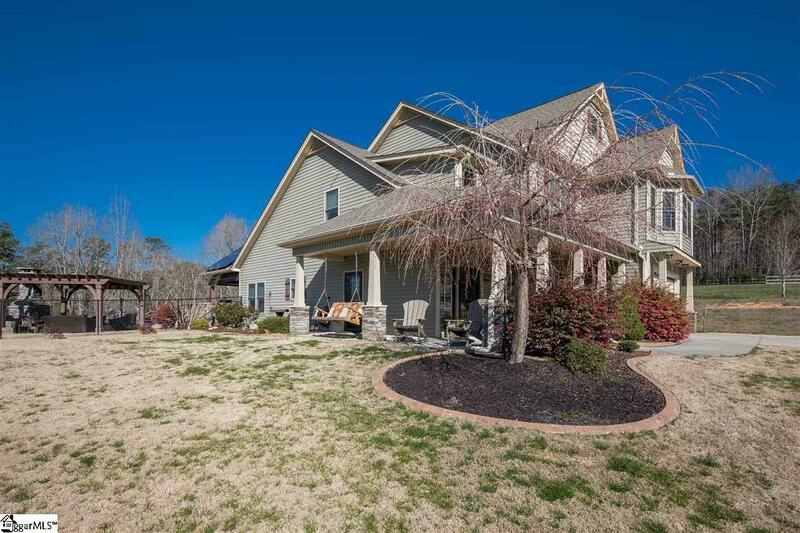 Circle around in front of the house and look back over the property before you step up onto the wrap around front porch. Step in the front door and prepare for your jaw to drop as you take in the attention to detail. Just to the right of the entry you will be tempted to be drawn into the sitting area with wall fireplace and built-in bookcases. The current owners are using this space as a sitting room, but it could easily be used as a formal dining room. As you move straight through the entry you will pass the stairway to the second floor and to your left a second side entrance. Just past the staircase you step into the beautiful kitchen with granite counters, beautiful cabinets and stainless steel appliances. The kitchen opens up to the breakfast space and two story Great Room. Moving through the breakfast room you can step out onto the large 28x19 covered porch with cathedral ceiling and electric drop down screens to instantly make this space a large screened porch that overlooks the inground pool and just to the left the pergola area with outdoor wood burning fireplace perfect for those cool evenings. This area is completely fenced in! Back inside step into the Great Room with custom fireplace and full wall of windows. Just a few steps further you will find a large laundry room with laundry sink and cabinets galore to make the best of a necessary chore! 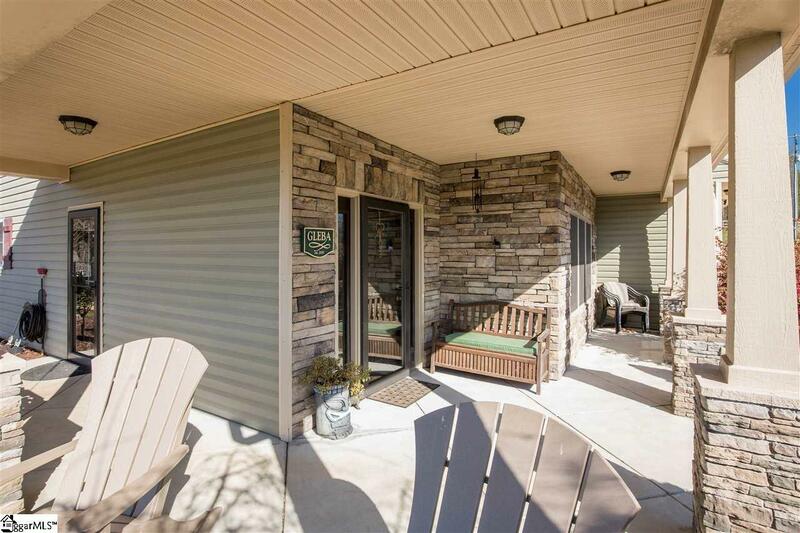 Don't miss the 26x13 main floor master with access to the porch area. The master bath is complete with handicap roll in shower. This space would also be perfect for a main floor bonus room with it's easy access to the porch and pool space. Take a breath because we have only just begun! Upstairs you will find a bedroom to the left that is currently being used as a home office. To the right you will find a spacious bedroom and a little further down the hall is the guest bathroom. As you walk along please make sure to take time to look down on the Great Room. Don't worry the second floor master won't disappoint and could also be used as a bonus room! This 15x25 room with large sitting area surrounded by windows overlooking the property just so you don't forget the beauty of the property. This master bath has a large garden tub and walk-in shower that won't disappoint either. Now all of this is wrapped up in a certified green home by Blue Ridge Electric. 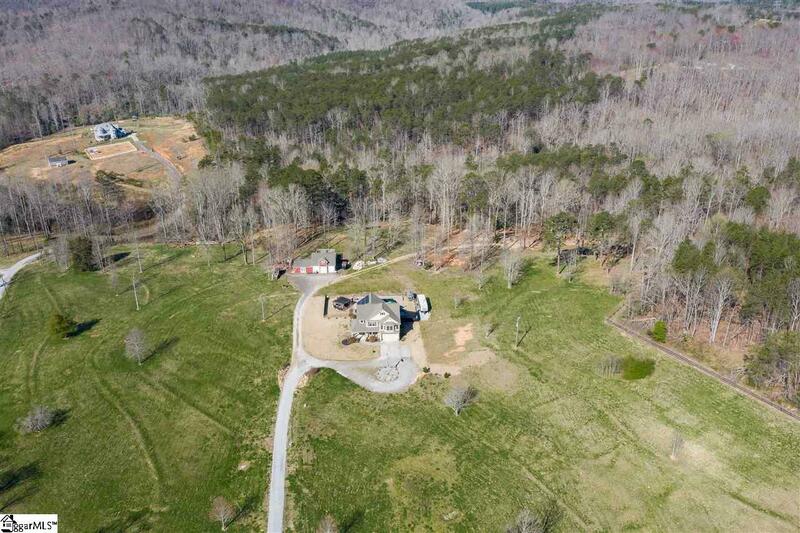 Just in case you don't think this is enough, let's take a walk down to the 3 car detached garage and while we walk take time to look over the almost 17 acres of beautiful flowing property surrounding this home. You will notice to the left of the detached garage is a one floor room. Behind the door is a 25x24 weight room with built in sauna. (weight equipment isn't included but could be negotiated for the right price). Inside the 3 car garage you will notice the stairway leading to the space above. This is the ultimate 30x15 man cave complete with a large deck overlooking the bordering creek and wooded area. Don't miss out on this dream property!